With the New Year being around the corner, it's definitely time to start thinking about living a more healthier life if you haven't already. I know for me, food has always been a struggle. I think my biggest problem is portion control, my eyes are bigger than my stomach and I sometimes over eat. Over the last couple of years I have been trying my hardest to make sure that my family and I start substituting things that we love for a healthier choice. We've done this with sugar, ice cream and over the last month, we've now been doing this with our favorite fried foods. Every one loves deep fried food. Let's face it, fries taste a lot better being deep fried than they do in the oven. Well with the 2 in 1 Actifry, I can eat french fries that are both crispy and a healthier alternative to fries that would go in your ordinary deep fryer. 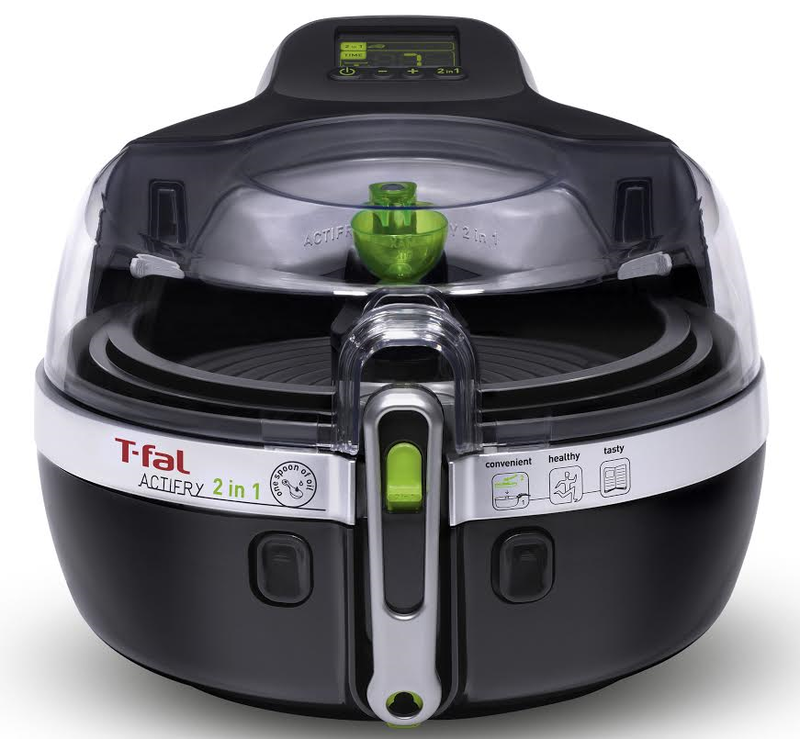 The Actifry helps you create lower fat versions of the foods your whole family will love like French fries, chicken wings, risotto, dessert and more. With the 2 in 1 Actifry, you not only get to cook one, but two dishes at a time thanks to the removable cooking plate it comes with. After first hearing great reviews from my husband's co-worker about the original actri-fry, we were super excited to try the 2 in 1. First of course we had some reading to do, the user manual was easy to understand and set up was a breeze. It also comes with a recipe book that gives you tons of different recipes you can use the 2 in 1 with. It's great to know that you can use this for a variety of different dishes. 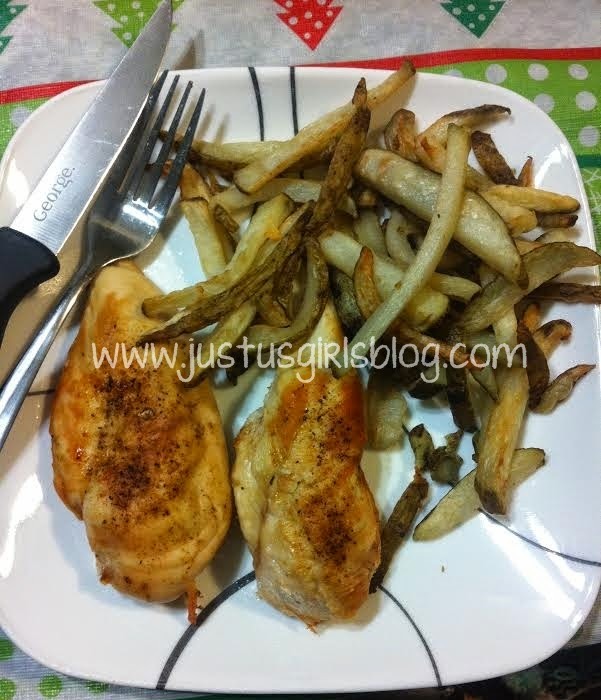 The first dish we decided to try was fresh cut fries and seasoned chicken breast. Since french fries are one of our favorites, I wanted to see how they would compare to other french fries that we would make in the oven or in our deep fryer. After preparing the potatoes and reading the easy to follow step by step directions we started the unit by pressing the on button, then setting the bottom plate to what we were cooking, then pressing the 2 in 1 button so that we could set the timer so we knew when to start our second dish. Once everything was set we went on with our business as usual, coming back to check more often than necessary just to make sure all was going to plan. Once the fries were half way done we heard a beep, which then allowed us to put our second dish in the Actifry until both dishes were cooked to perfection. The fries turned out fresh, crisp and delicious. The next batch we would make we did adjust the time a little bit just for our preference, but the time frame that was given provided a great result in how the fries turned out. The chicken was beautifully browned and thoroughly cooked as well. 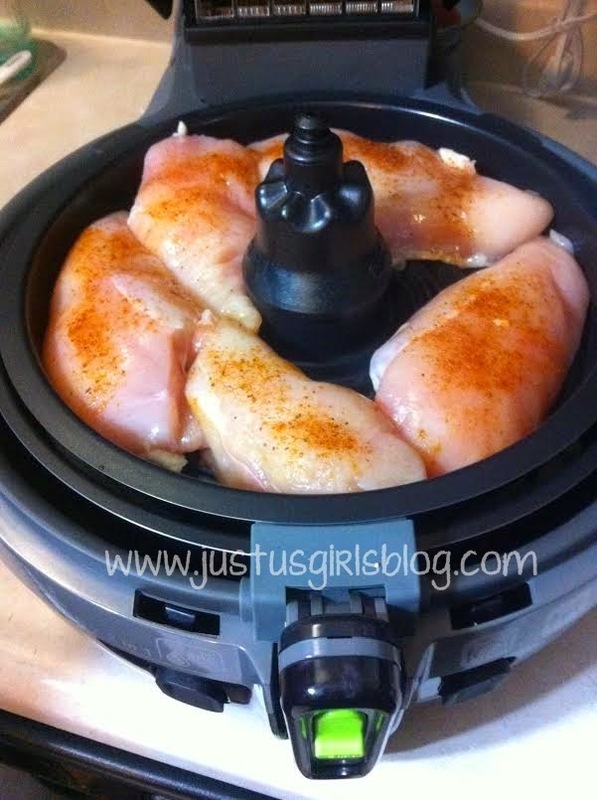 I was definitely impressed with both dishes and have been enjoying the Actifry so much. The use of the 2-in-1 option saved a pile of dishes to clean and dis-assembly of the trays for cleaning couldn't be any easier. The following day we cleaned up our old conventional oil fryer and stored it for the rare occasion when we will use it again. We as a family are excited to move one step closer to extremely tasty and yet still a healthy fried dinner. Disclosure: All opinions are my own. 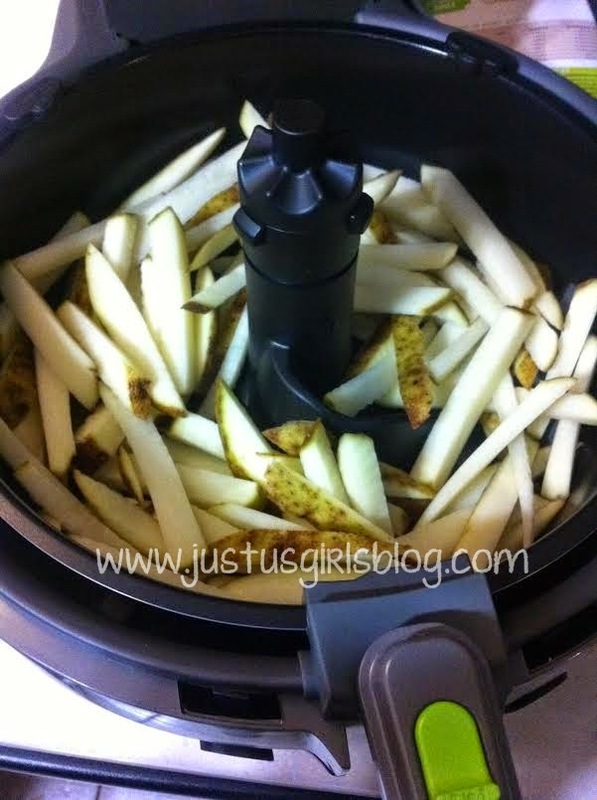 I received the 2 in 1 Actifry at no cost for the purpose of this review. No other compensation was received.